Hello! Thanks for stopping by today! 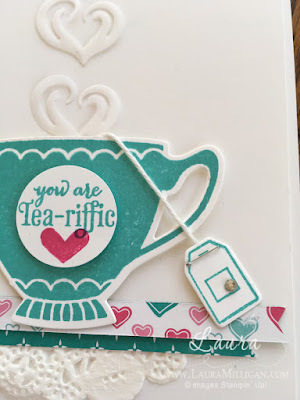 My card today uses one of my very favorite bundles in the newly released Occasions Catalog - A Nice Cuppa stamp set and the coordinating Cups and Kettles framelits dies. We are so spoiled with all the coordinating framelit dies - we very rarely have to "fussy cut" anything! Love that! Of course if you have followed my blog at all, you know that tea parties are something my family adores - and this is thanks to my mom. I still fondly remember the special tea party I held for her on her 80th birthday last March - oh how I cherish that day in my heart! Nothing better than sitting down with a dear friend, your mom, your daughter, and enjoying "a nice cuppa" tea along with a freshly baked scone, and some devonshire cream. Yum! Our lives today are sooo busy - I would encourage you to plan a few minutes to share a cup of tea with someone you love - to catch up and just enjoy each other's company! On to my card! I used some little strips of dsp from the Have a Cuppa designer series paper stack - and of course a tea lace doily- seems like a little snippet of a doily and tea just go together! Love the little open heart framelit - I used vellum for mine to represent steam - so fun! 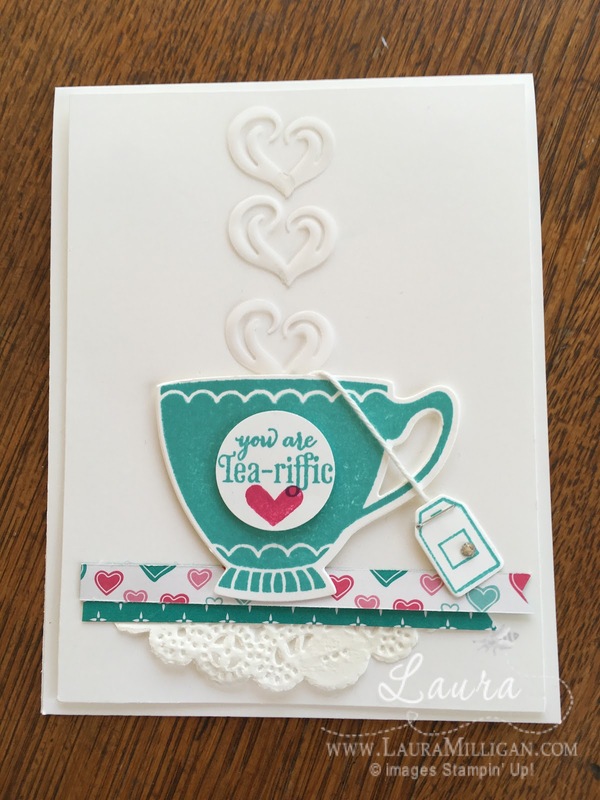 I have listed all supplies used below as well as a tutorial for how to recreate this card. SALEABRATION Time - if you are a stamper, you are probably familiar with Stampin' Up's! biggest sale of the year - Saleabration! 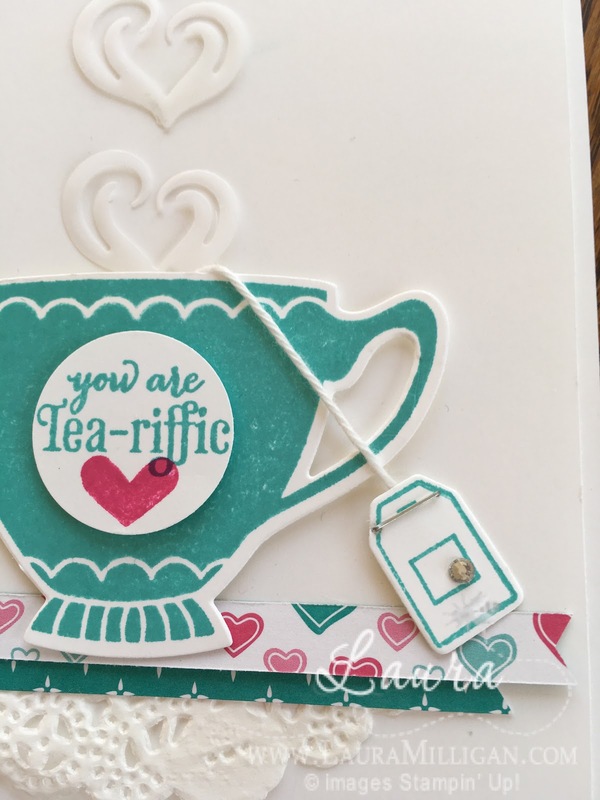 Be sure to check back on Friday for the Stamper's Dozen January Blog Hop!